Myrtle Beach used back-to-back four-run innings to catapult in front of Lynchburg, turning a one-time 5-0 deficit into a 10-5 lead before eventually claiming a 10-8 victory at City Stadium Sunday afternoon. Matt Esparza left the contest with a 5-2 lead after pitching the first six innings for Lynchburg. Both runs against him were unearned, and Esparza struck out five while only allowing four hits in his six frames on the mound. The tide turned in the seventh inning when the first five men reached for the Pelicans, and four of them came around to score. That gave Myrtle Beach its first lead of the contest, 6-5. Jesse Hodges started the inning with a double, and Bryant Flete capped off the barrage with a two-run single. Myrtle Beach pushed the margin to 10-5 with a four-run eighth that included a two-run homer by Flete to give him a career-high four RBIs. Lynchburg nearly rallied back in the ninth, scratching across three runs and sending the potential tying man to the plate with one on and two outs. However, James Norwood slammed the door shut on the Hillcats with a strikeout to preserve the 10-8 final.Ka’ai Tom started the last-inning comeback effort with a double. Daniel Salters added an RBI double and scored one batter later on a Willi Castro two-out single in the stanza. Salters finished the game 2-4 and tied his career high with three RBIs. Lynchburg built an initial 5-0 advantage by scoring in three straight innings. The streak began in the second when Salters knocked in both Andrew Calica and Connor Marabell with a base hit up the middle. Marabell then doubled the Hillcats lead to 4-0 with his first home run of the season. His deep fly ball over the right field fence also plated Calica. Marabell is 4-11 with a double, a home run, four RBIs and four runs scored in his three games since returning from the Disabled List. 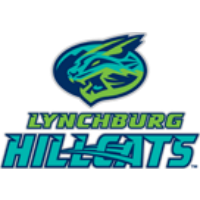 The Hillcats stretched the difference to 5-0 in the fourth when Yonathan Mendoza’s two-out single brought in Sam Haggerty, who hit his seventh double of the season one batter prior. Billy Strode took the loss after being charged with four runs on four hits in the seventh. Casey Bloomquist (1-2) earned the win with 2 1/3 innings of relief after starting pitcher Oscar De La Cruz departed prior to the bottom of the fifth. Lynchburg continues its six-game homestand when it welcomes Winston-Salem to town for the first time Monday at 6:30 p.m. Thomas Pannone (1-0, 0.00) will start for Lynchburg against Max Beatty (0-1, 5.68). It’s a Meow Monday, so fans can receive $3 off admission with a pet food donation for the Lynchburg Humane Society. Plus, the first 300 fans will receive a team photo giveaway. Gates open at 5:30. For those who can’t make it, the game can be heard live at www.lynchburg-hillcats.com with coverage beginning at 6:20.